Preserve the harvest with WECK, the company that introduced preserving in glass jars. 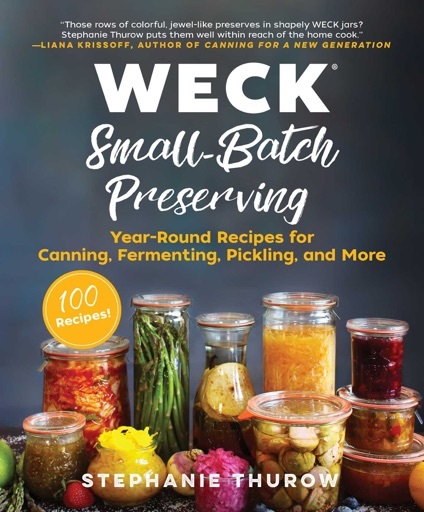 Food preservationist Stephanie Thurow has teamed up with the canning experts at WECK to show readers how to preserve throughout the year with WECK jars. The J. WECK Company has made aesthetically beautiful all-glass home canning jars for one hundred years. Never before offered, Stephanie has created a step-by-step guide to preserving with WECK jars and has developed one hundred delicious, small-batch recipes to can, ferment, and infuse with them.